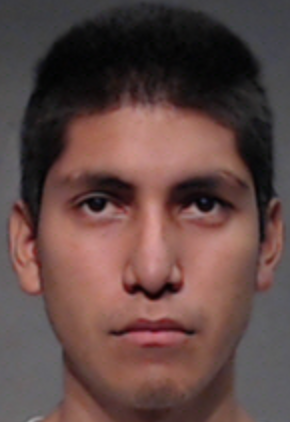 McALLEN — A Mission man who claims to have worked as a drug trafficker since before his 13th birthday will spend the next 10 years in federal prison. Mario Alberto Garrido’s sentence was handed down by U.S. District Judge Ricardo H. Hinojosa during a hearing Wednesday. Garrido will also be placed on supervised release for five years following his 10-year sentence, according to court records. The 25-year-old was facing one count of conspiracy to distribute a controlled substance, which was dismissed as part of a November plea deal that required him to enter a plea of guilty on that charge. He was sentenced on two counts of the sale and distribution of a controlled substance. Garrido has had documented run-ins with the law dating back to 2009, including arrests for misdemeanors and felonies, according to public criminal records with Hidalgo County. His most recent offense and the one that resulted in the federal prison sentence occurred in June of last year, when authorities pulled him over for a traffic violation in Mission. The criminal complaint filed by federal agents states Garrido, who was under surveillance, was observed leaving a residence in Mission to the north McAllen area. Agents stated that he was observed weaving in and out of lanes, driving at a high-rate of speed, and looking at the cars around him. “Garrido’s driving mannerisms were consistent with that of counter-surveillance tactics seen and used by members of drug trafficking organizations,” the complaint states. During the stop, authorities used a K-9 and subsequently found about 23 kilos of cocaine hidden in Garrido’s vehicle, according to the criminal complaint against him. The man told agents he had been involved in drug trafficking at least several times a week since he was 12 years old.